The most painful part of debt is the interest. It can be crushing. Let’s say you borrow $200,000 on a 30 year fixed mortgage at 6%. That’s a pretty typical home loan that someone might have taken out in the mid-2000s if they had decent credit and a down payment. Over the course of that loan, you’d have to pay back the $200,000, of course. You’d also have to pay back $231,676.38 in interest. To get that $200,000 home, you’d have to pay a total of $431,676.38 to the bank. Now, let’s say you were able to refinance that loan down to a 4% loan, something that you could actually get in today’s market. You do that refinancing at the 4 year mark into a new 30 year loan. Over the course of those two loans, you’d have to pay back the $200,000, but you’d only have to pay back $182,783.91 in interest. You’re saving almost $50,000 by refinancing. You’re also trimming your monthly payment by about $70, though you are adding a few years to the length of it. That number gets even better the earlier you can refinance and the bigger the change in interest rate when you do so. A similar tactic comes in the form of loan consolidation, often seen with student loans. 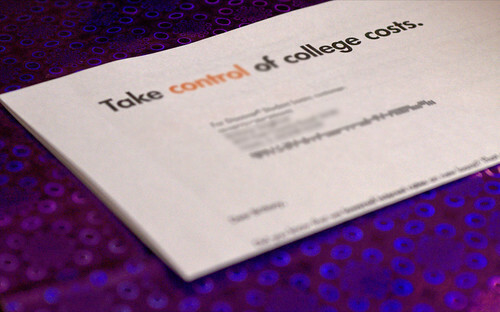 Many lenders will happily consolidate several of your student loans into a single loan, often chopping interest rates. If you have a $30,000 loan at 7% over ten years and a $20,000 loan at 9% over ten years and you find a lender to consolidate those loans into one loan of $50,000 at 6% over ten years, you save $5,588.94 just because of one simple move. You’ll also have reduced your monthly payments by about $45 per month. Refinancing debts can have a tremendous impact on the amount of money you pay, both on a monthly basis and on an overall basis. Saving $50 a month can turn an unworkable situation into a workable one, or turn a situation where you’re making no debt progress into one where you can start chipping away at your credit cards. Home mortgages and student loans are two of the most common types of debts you can refinance, but you can sometimes refinance other debts as well. How? We’ll discuss that tomorrow.